Fear of driving is a very common and we understand it is very important to provide the right atmosphere for our students. We've seen time and time again nerves and fear holding back a students progress. It's our responsibility to make sure you are comfortable behind the wheel. To that end we never stop training our instructors to keep them on top of their game. Our instructors are passionate about teaching people to drive and work hard to give you the ultimate driving lesson experience. Our instructors passion for driving is infectious and aimed at one thing. You, our student, and your safe development into a competent driver. No other Derrinturn Driving Schools offer free material like ours. Many of our pupils have even attributed it to their fast progress and development. This material helps you grasp and understand those tricky areas of driving like roundabouts, night driving and your driving test maneuvers. It is an sad fact that Ireland is one of the worst countries in Europe for road deaths and accidents. In an effort to reduce these statistics the Road Safety Authority implemented a new and compulsory training initiative for new drivers. The Essential Driver Training or EDT. First you must master the rules of the road, the road signs and skills involved to control a car safely. And then there is learning to pass the driving test. The test is your chance to show that you are safe enough to drive unaccompanied. Like any exam you have ever had to sit, 80% of passing the driving test is achieved well before the day of the test with proper preparation. If you haven't done any preparation for your driving test the your are in the dark and being in the dark can cause a lot of fears to rise up. Fear can distract even the most experienced of drivers. So it makes perfect sense that we have to shine a light in the dark, remove the unknowns and the fear. Which is precisely what our pretest driving lessons will do. Check out pretest lessons in Derrinturn here... or Call (045) 256 987 now to book your pretest package. 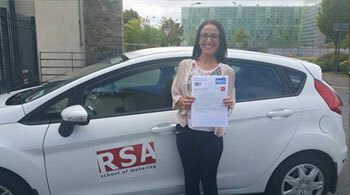 With RSA School of Motoring your Derrinturn driver training doesn't just start and finish in the car. We have designed our own email support course sent periodically to your inbox on autopilot to provide you with support through your EDT program all the way to your driving test. If you're looking for great value... you just found it. If you have a driving test lined up and want a modern, easy to drive car to perform it in then we can assist. It is our belief that by turning up for your test in a safe, dual controlled vehicle puts the tester at ease and shows a clear level of commitment from you to your own success. So why wouldn't you book one of our pretest car hire bundles and prepare for your test like a pro. We all remember the fun engaging teacher at school that made learning easy and fun. And we remember the bad teachers that had no business teaching anyone. Not all teachers are made equal and that is no less a fact with approved driving instructors. It is easy to Google 'Driving Lessons Derrinturn' and find driving instructors near you but which can you trust to best teach you. Obviously you want to pick a driving school that has a fantastic track record. A driving school that gets students to pass the driving test. 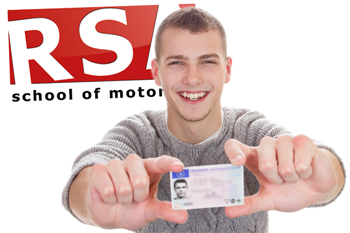 We have helped countless learners pass the driving test so before you carry on your search we urge you to consider RSA School of Motoring for your driver training in Derrinturn. Let us explain to you why. You’re in luck. Our female driving instructors are ready and waiting to teach you to drive. Don’t believe the myth about female drivers. Book your lessons with one of our lady instructors and find out why they are some of the best instructors in Derrinturn.